The jury is out as to whether amending your tax return with the IRS is akin to waving a red flag at a bull. It may trigger an audit -- but it probably won't. 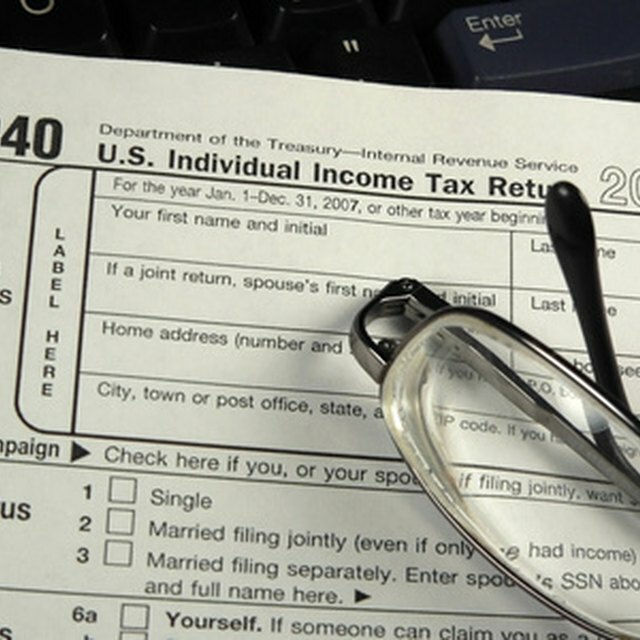 The IRS denies that there's any correlation between filing Form 1040X – the amended return – and being audited. This isn't to say that you can't make mistakes with your amended return that could lead to one, however. An IRS computer – not a human being – is responsible for waving the first red flag if there's a problem with your return. The computer compares your information against that included in other returns filed by other taxpayers -- those with similar income and filing status. If there's an anomaly, the computer marks your return for review by an IRS employee. If there's a logical explanation for why your return varied so much from the others, that's the end of it. If not, the first IRS employee forwards your return to his manager for yet another review. This manager is the individual who ultimately decides if your return requires an audit. The computer won't raise a flag simply because you amended your filing, but other things about your return might elicit a response, either from the computer or from an IRS employee. For example, if April 15 has come and gone, you can't amend your return from married filing jointly to a separate married return. This is against the rules, so the computer will catch it and send it to an IRS employee for sorting out. If your original return indicated that you owed the IRS $1,000 and your amended return claims that you're due a $2,500 refund because of the changes you made, this could be a problem as well. If your amended return results in a change that favors the IRS, this is fine. If it favors you to a great extent, the IRS might want to know why you made the changes. Depending on the mistake you made in your original return, you might not want to amend it. There's no tax law that says you must, and, as a practical matter, the IRS will probably catch the problem on its own even if you don't file an amended return. For example, if you made a math error, it's a safe bet that the IRS will pick up on it. If you forgot to attach a required schedule, the IRS will let you know. If amending your return involves a minor issue, you might want to err on the side of caution and just leave well enough alone. Speak with a tax professional to make sure, however. How Do I Revise My Federal Tax Return? If I eFile Taxes Do I Have to Mail My W-2? There are times when the advantages of filing an amended return might outweigh any risks. If your original return contained a glaring error that might lead to an audit, your amended return might remedy the situation and save you a lot of grief. According to Forbes, IRS auditors rarely prosecute mistakes included in an initial return if the taxpayer has voluntarily filed an amendment to fix the problem. Your timing is critical, however – the sooner you file the amended return in this situation, the better. If your initial return is already being audited, filing a new one might only confuse the issue. TurboTax: Does Amending Your Filing Status Trigger a Tax Audit?